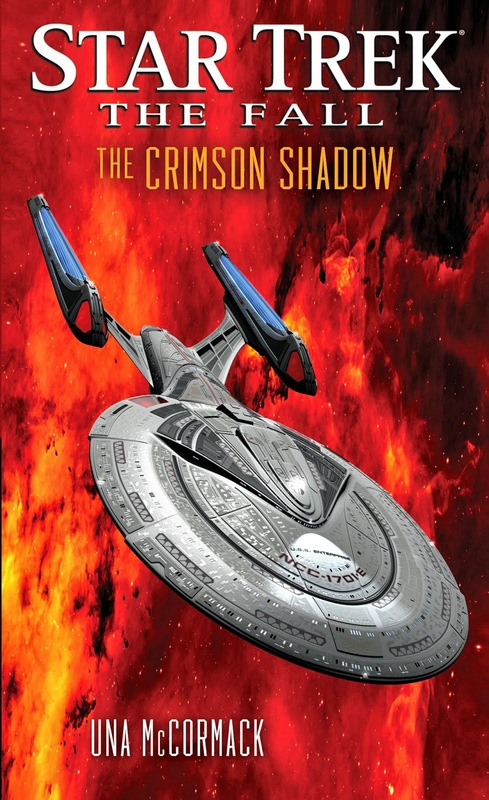 A Titan novella set in the "present day" of the 24th century lit-verse. Miller gave a brief description when he announced it a couple of months ago. Due in February, according to the listing which has appeared on Amazon in the last few days. A TOS story, set amongst the events of The Wrath of Khan, and featuring Doctor McCoy. Martin spoke a little about this a few months ago. Martin initially suggested this would be out this summer, but it was confirmed a little while ago it will in fact be coming next April. A TOS tale, set shortly after The Motion Picture. Harrison gave a brief description when he announced it a couple of months ago. Initially listed by Simon and Schuster for release this December, the publisher listing has now vanished, but it is on Amazon, who expect it to come out in October next year. No other details other than that it is happening. Pearson announced that much on Twitter last month (which I was pointed to via Jens Deffner's book report on the G and T Show). Also no other details other than that it is happening. News of this comes from Therin of Andor on the TrekBBS, who forwarded the information from Block and Erdmann's Facebook profiles (and again I was pointed to this via Jens Deffner's book report on the G and T Show). 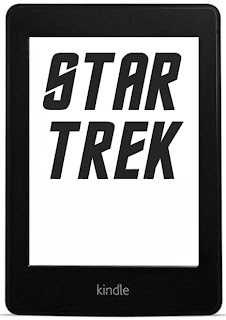 This is notable as the first fiction release from Block and Erdmann, who have previously delivered numerous non-fiction Trek titles. It looks to me like Simon and Schuster are going for an every other month release pattern here. So I would expect the two TBAs to slot into the gaps in June and August, or if something else shows up to fill one of those, then in December. In other prose news, Una McCormack has revealed, in an an interview with TrekCore, that her mysterious new book, Home Again, is indeed real, and not just a glitch on Amazon. While Amazon currently only list it in ebook format, McCormack described it as a novel, and also suggested the title isn't final, but gave no other details. The title of my novel is a direct reference to Meditations on a Crimson Shadow. That book plays an important part in my book, and you’ll find out more about Preloc’s book when you read my story. Picard and Garak are the central point of view characters with whom readers will be familiar. Garak's story carried on the theme that's been central to his narrative in the books: coming to terms with what's happened to Cardassia, and trying to make amends. The book is set in a post-war Cardassia that's choosing between returning to its old belligerence or forging on with the new relationships it has been forming with the other powers in the Khitomer Accords. With Picard, I was able to explore Federation ambivalence towards their new allies. There are a couple of other point of view characters, one of whom, a member of the Cardassian police force, is an original creation of mine, and another is the Cardassian officer Ravel Dygan, whom regular readers will know has been serving on the Enterprise and who played a part in my last novel Brinkmanship. Both of these are a generation younger than Garak, and so I was able to use them to reflect upon what it would be like to inherit a destroyed civilization, and know that your life's work is going to have to be patching up what the previous generation all but ruined. ...a "major event" happens in Revelation and Dust: The Crimson Shadow shows the build-up to this event from different perspectives, and some of the initial fallout. We learn more about what that event means, and this is picked up and expanded in A Ceremony of Losses. I was sorry not to see you on your last trip home, but by all accounts it was a hasty visit, and my own availability was also sadly limited at that time. The ambassadorial life proves more hectic than that of a tailor, and these days my lunches are neither as lengthy nor as entertaining as those we once enjoyed in the Replimat. We will be welcoming your president to our world. Is this the first time that a serving president of yours has visited us? I'm sure that your brilliant brain would be able to answer that question in an instant. Whether or not she is actually the first, I hope that she will find herself most welcome. I have seen a great deal of Nan Bacco in the past few months as we negotiated the terms under which Starfleet would finally remove its personnel from our world. I respect her vision for our peoples and admire her breadth of literary learning. She has proven an acceptable substitute lunch partner in your absence. Pre-order (paperback): Amazon.com, Amazon.co.uk, Amazon.ca, Amazon.de, Amazon.fr, Amazon.es, Amazon.it, Amazon.co.jp. Pre-order (ebook): Amazon.com, Amazon.co.uk, Amazon.ca, Amazon.de, Amazon.fr, Amazon.es, Amazon.it, Amazon.co.jp.